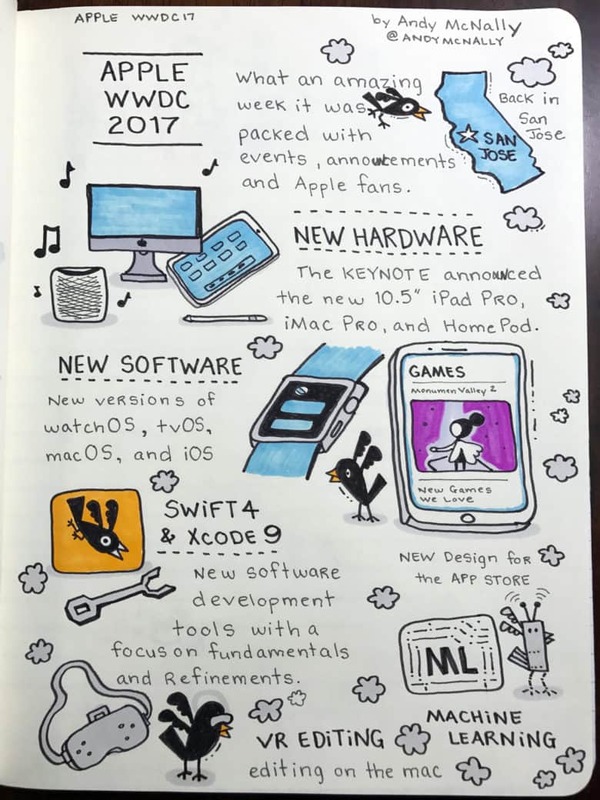 The keynote has primarily focused on software for the past several years, and this year was no different. Apple announced updates to watchOS, tvOS, macOS, and iOS. New products were introduced this year with the announcements of the iPad Pro 10.5 inch, the iMac Pro, and HomePod. 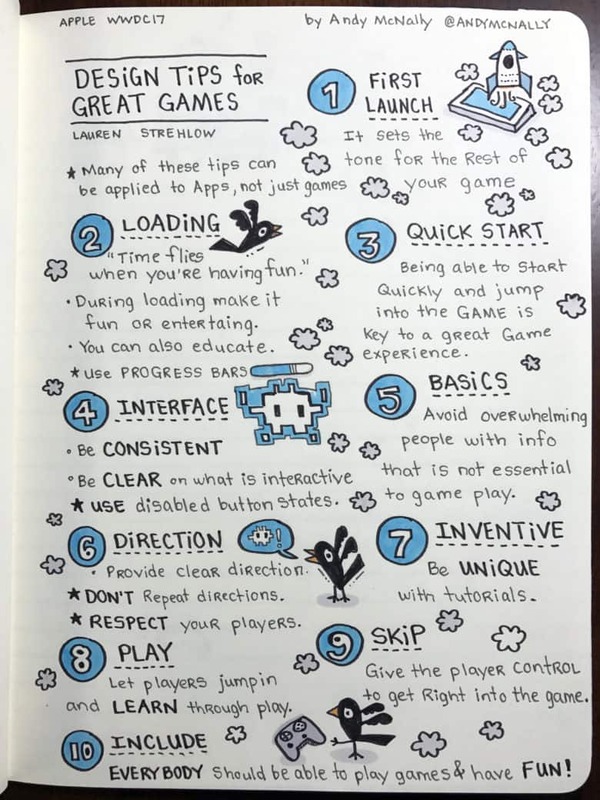 See more of the Keynote sketchnotes here. 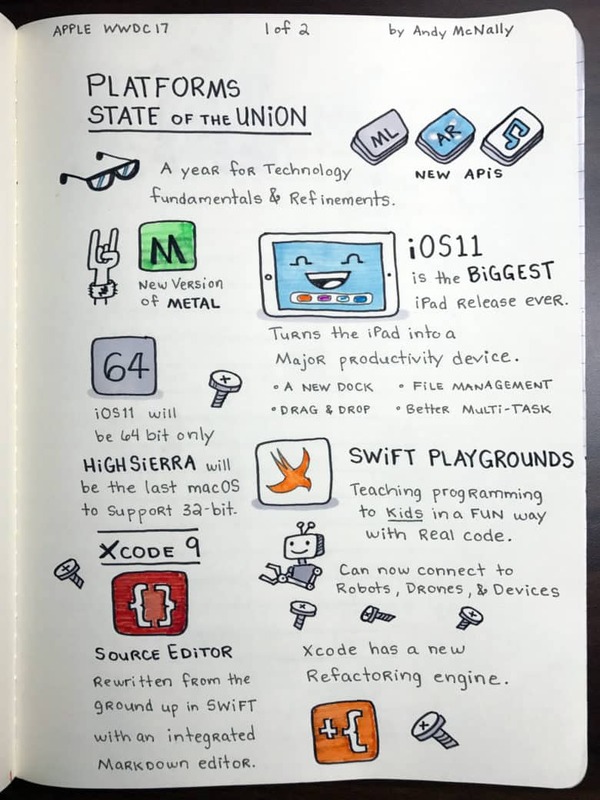 Monday afternoon, Apple brought developers up to speed with the Platform State of the Union Address. The focus of the address was on software fundamentals and refinements to all of Apple’s software platforms. The iPad received much of the focus for the upcoming iOS 11 making it the biggest iPad release to date. Developer tools were enhanced with the updates to Swift 4 and Xcode 9. 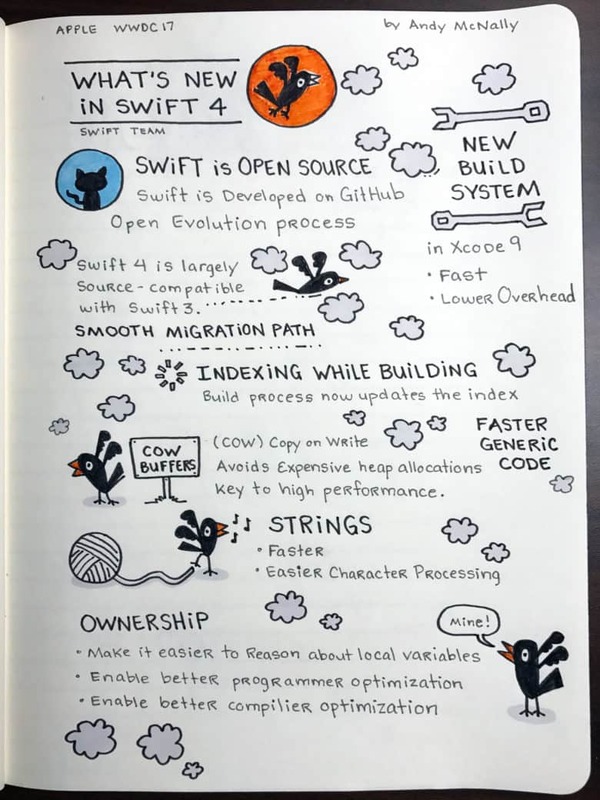 Kids of all ages can learn Swift with Swift Playgrounds, which can connect to robots, drones, and other bluetooth devices. 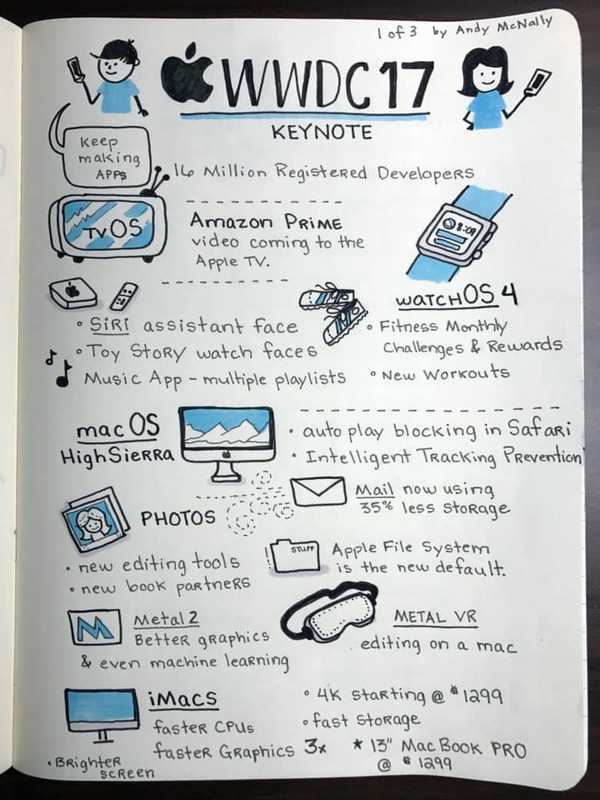 Attending the WWDC is an opportunity to learn about the new software updates, software tools, and design tips in the many sessions offered to attendees and online. Check out the collection of this year’s session videos here. Here are a few of the sketchnotes from the amazing sessions that Apple’s knowledgeable staff presented this year. Here’s the latest on Swift 4, the latest version of Apple’s programming language, done up in sketchnotes. 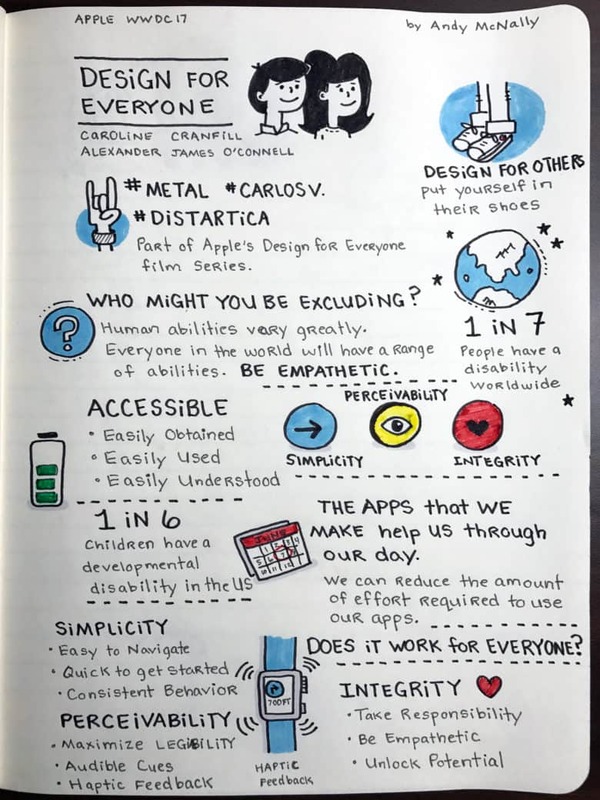 Design for Everyone, tips for creating inclusive apps. 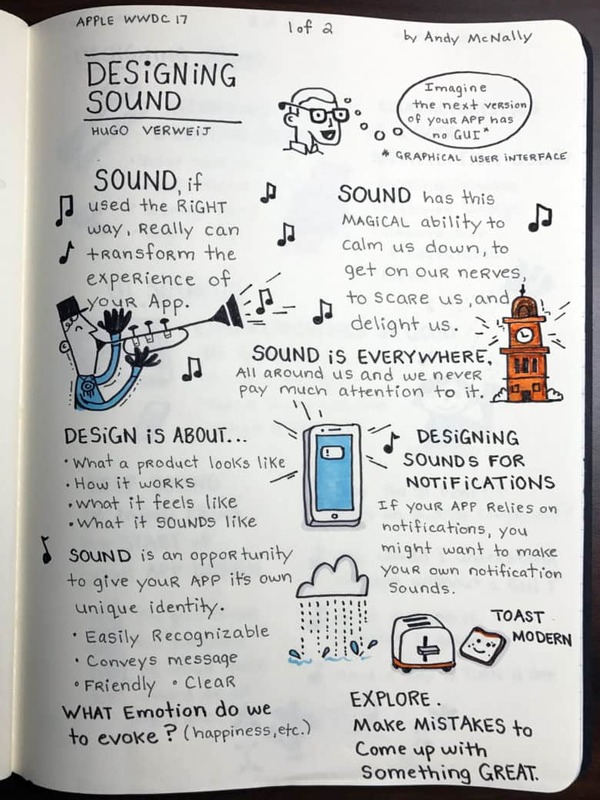 Designing Sound session exploring how sounds convey feeling. 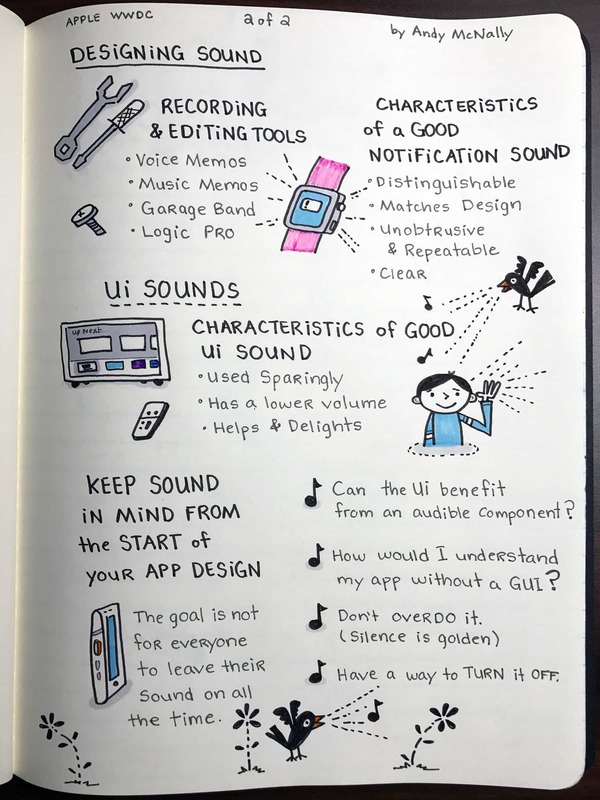 Keep sound in mind as you design your apps.